What does this tell us about who we are? And Who God is working/making/made us to be? 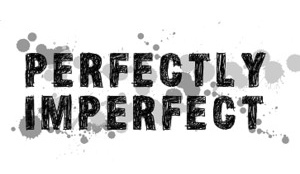 1) We are NOT perfect and we are therefore NOT God. 2) God still accepts and loves us despite this reality. 3) We can still be present before God despite our imperfection. Think again back to Genesis (people should really spend more time in this book–its just JAMMED with things to learn) — even after Adam and Eve disobeyed God, God felt for them along with providing them with what they needed (clothing.) And though He banished them from the Garden, it was the consequences of their actions. Advise?– Don’t let your perfections, either of you or your parents, let you down.